Read Eilat Mazar’s article “Did I Find King David’s Palace?” as it originally appeared in BAR, January/February 2006.—Ed. In this composite electronic image, a statue of King David seems to hover above a building that may have been his palace. Photo of area by Eilat Mazar; photo of statue by Erich Lessing/Art Resource, N.Y. There can be little doubt that King David had a palace. The Bible tells us that Hiram of Tyre (who would later help King Solomon build the Temple) constructed the palace for David: “King Hiram of Tyre sent envoys to David, with cedar logs, carpenters and stonemasons; and they built a palace for David” (2 Samuel 5:11). Nine years ago I wrote an article in BAR suggesting where, in my opinion, the remains of King David’s palace might lie.1 I proposed looking in the northern part of the most ancient area of Jerusalem, known as the City of David. I was struck by this idea while engaged in other research on the archaeology of Jerusalem. I had noticed the findings of the well-known British archaeologist Kathleen Kenyon, who dug here in the 1960s. In her Area H, at the northern end of the City of David, Kenyon discovered a section of a massive public structure that she considered to be part of a new casemate walla built by King Solomon. She dated the wall, on the basis of the pottery associated with it, to the tenth century B.C.E., the time of King David and King Solomon, according to the Bible. Kenyon was quite knowledgeable about Jerusalem pottery of the First Temple period, and, although she could not distinguish with assurance between pottery sherds of the tenth and the ninth centuries B.C.E., she was quite capable of distinguishing pottery sherds from those centuries (which belong to the period archaeologists call Iron Age IIa) from sherds of the eighth and seventh centuries B.C.E (Iron Age IIb). The pottery sherds she excavated in Area H were not of the later types. Perhaps this casemate wall, I speculated, was part of David’s palace. In 1995, not long before he passed away, I spoke with my grandfather, Professor Benjamin Mazar of Hebrew University, about my idea. I told him I thought there was a high likelihood of finding remains from King David’s palace near Kenyon’s Area H. Aside from the archeological discoveries there, the site fit quite well with the notice in 2 Samuel 5:17, which describes David in the City of David going down, or descending (yered), from his residence to the citadel or fortress (metzudah). The citadel or fortress to which he descended was of course the Canaanite/Jebusite stronghold, the Fortress of Zion (Metzudat Tsion; see 2 Samuel 5:7) that he had conquered a short time earlier. It is clear from the topography of the City of David that David could have gone down to the citadel only from the north, as the city is surrounded by deep valleys on every other side. It also makes sense that the Jebusite stronghold would have been located at the high point in the City of David, that is, in its northernmost section. From here, the fortress would not only command all areas of the city but would also provide for the defense of the city on its only vulnerable side—the north, which had no natural defense. If this was in fact the case, one can infer that after conquering the city, David’s palace was constructed north of this citadel (David went down to the fortress) and outside the northern fortifications of the city. Although Kenyon most probably correctly dated the remains of the monumental structure she exposed in Area H, she never considered the possibility that King David built his palace outside the bounds of the fortified city. It therefore never occurred to her that this structure might have belonged to David’s palace. 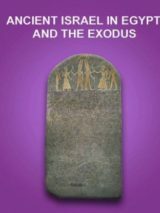 In the September/October 2012 issue of BAR, Avraham Faust re-examines Eilat Mazar’s excavations in the article “Did Eilat Mazar Find David’s Palace?” Read a summary of Faust’s article in Bible History Daily or read his full article in the BAS Library. Mazar was not the first to make important discoveries in this part of Jerusalem. British archaeologist Dame Kathleen Kenyon, who excavated there in the 1960s, found a portion of a large structure that she thought was part of a casemate wall (two parallel walls divided by perpendicular walls) built by King Solomon in the tenth century B.C.E. Mazar wondered whether Kenyon’s discovery was actually part of David’s palace—a possibility Kenyon apparently never considered. Bettmann/Corbis. To my mind, however, choosing a site for his palace adjacent to the northern side of the Jebusite fortress would have been a very logical step for someone who was already planning a northern expansion of the city—an expansion for the Temple on what was to become the Temple Mount, for which David bought land from Araunah the Jebusite (2 Samuel 24:18–25). In peaceful times, the palace inhabitants would not be exposed to danger, and in the unlikely event of a threatening military assault, such as a Philistine offensive, the palace could be abandoned and the occupants could descend to the stronghold within the barricaded city. And in fact that is what 2 Samuel 5:17 (and the chapter generally) refers to when it says that David went down to the fortress to protect himself against the Philistines, who attacked after he had been crowned king of all Israel. David had made a bold alliance with Hiram the Phoenician, king of Tyre, who built him a new palace in Jerusalem. When the Philistines heard that David was now the newly crowned king of all Israel, they rose up to attack him. Upon hearing of the attack, David abandoned his new palace and descended to the stronghold (2 Samuel 5:17). A founding father of Israeli archaeology—and the grandfather of author Eilat Mazar—Benjamin Mazar is shown near the southern wall of the Temple Mount, an area he excavated extensively in the 1970s. David Harris. One of the many things I learned from my grandfather was how to relate to the Biblical text: Pore over it again and again, for it contains within it descriptions of genuine historical reality. It is not a simple matter to differentiate the layers of textual sources that have been piled one atop the other over generations; we don’t always have the tools to do it. But it is clear that concealed within the Biblical text are grains of detailed historical truth. By the time I published my first article (in Hebrew) on these ideas, my grandfather had died. I wanted to publish as quickly as I could because so much construction was taking place that I worried the site might be built over. Only by publishing my ideas could I hope that someone would raise the necessary funds to excavate the site. To be frank, it would take a certain amount of courage, as well as money, to support this excavation. My position, to put it mildly, had not received sweeping support from the archaeological community. Indeed, quite the opposite was the case; the prevailing opinion was that no significant ruins remained to be discovered at the top of the City of David. In addition to Kenyon, R.A.S. Macalister and J. Garrow Duncan had excavated at this and adjacent sites between 1923 and 1925, reaching bedrock in many places. They left the impression that, aside from a few walls and the debris of large stone masonry, there wasn’t much left to look for. Moreover, bedrock in this area is quite near the surface. Many scholars therefore concluded that it was not worth resuming excavations at this site. “David went down to the fortress” when he feared an attack by the Philistines, according to 2 Samuel 5:17. Where did he go down from? This photo helps provide the answer. It is taken looking north, facing the spur known as the City of David, the oldest settled portion of Jerusalem; beyond it is the Temple Mount, where David’s son Solomon built the Temple. Marked on the photo are Area H, where Kathleen Kenyon found parts of what Mazar has now identified as a large public structure; to the south of it is the massive Stepped-Stone Structure, a portion of hillside blanketed with large blocks that must have supported a major building on the slope above it; the Gihon Spring, ancient Jerusalem’s only source of fresh water; and the Kidron Valley, east of the city. Author Eilat Mazar suggests that the Stepped-Stone Structure was part of the same complex as David’s palace. Her suggestion may seem odd at first—why would David have built his royal residence beyond Jerusalem’s fortified walls? Because there was no room within the small walled city, Mazar answers. The palace required no protection in normal times; when a threat loomed, David and his entourage could quickly “go down,” as the Bible says, to the city’s fortress a few feet to the south. Garo Nalbandian. It was not until almost a decade after my first publication that we found a donor and supporter. Throughout all this time, my friend Bouky Boaz worked with me, going to meetings and talking to potential donors. Four years ago I became a senior fellow at the Shalem Center, a research institute in Jerusalem for Jewish and Israeli social thought. At one point, I gave a lecture on my ideas to a seminar there, and the president of the center, Daniel Polisar, was so impressed that he decided to try to help. On a trip to New York he mentioned the project to the chairman of the Center’s board of trustees, Roger Hertog. Mr. Hertog courageously took up the challenge to finance the excavation of the site. Hints of glory. This beautiful capital, carved in proto-Aeolic (also called proto-Ionic) style, was discovered by Kenyon at the base of a scarp adjacent to the building that may be David’s palace and was likely once a part of that building. Imagine a hall that held rows of columns supporting magnificent capitals like this. Kenyon also found at the base of the scarp piles of ashlars (carefully hewn, rectangular building stones) that were once part of this impressive building. Israel Antiquities Authority. We began excavations in mid-February 2005 on behalf of the Shalem Center and under the academic auspices of the Institute of Archaeology of the Hebrew University of Jerusalem. We also enjoyed the full cooperation of the Elad Association, which runs the visitors’ center in the City of David, in which the excavation site is located. Almost from the start, ancient remains, preserved beyond all expectations, were unearthed. Surprisingly, I felt very much at ease throughout the entire excavation. Perhaps what helped me most was the recognition of the importance of what we were doing. I decided I would be silent about the palace theory. I would let the stones speak for themselves. Either they would corroborate the palace theory or refute it. It soon became clear that Macalister and Duncan had “visited” almost the entire area of the dig, which covered more than 3,000 square feet. In most places they had left walls in place. Only occasionally did they take apart walls down to bedrock. About 5 feet below the surface, we were surprised to find Byzantine remains (fourth-seventh century C.E. ), but nothing later. I really have no explanation for the absence of any later remains. One may speculate that they were destroyed by still later construction, but nonetheless it is surprising. The structure from the Second Temple period also incorporated some quite large stones from an even earlier structure. And, indeed, the Second Temple period remains sat on an earlier structure characterized by large, impressive stones. Some of these large stones had even been re-used in the construction of the still-later Byzantine house. We began calling this early building under (and earlier than) the Second Temple remains the Large-Stone Structure. The name stuck, and we still call it that—at least until the time comes when we are able to identify it more specifically. We also found part of the Large-Stone Structure in the excavation of Macalister and Duncan. They interpreted what were in fact the remains of the Large-Stone Structure as a Jebusite wall that had been destroyed by King David and left in ruins. Since Macalister and Duncan believed it was a wall that had been destroyed, they didn’t bother to “peel back” the large stones that were found strewn over the entire area of the excavation and therefore couldn’t have seen what we discovered when we removed the stones. We found giant walls from the Large-Stone Structure between 6 and 8 feet wide extending in every direction beyond the area of our excavation! In Discovering the Solomonic Wall in Jerusalem, Eilat Mazar describes her continuation of the excavations of her famous grandfather, Professor Benjamin Mazar, at the southern wall of Jerusalem’s Temple Mount. The eastern side of the Large-Stone Structure follows the upper eastern fortification line of the City of David. About 15 or 20 feet below it on the south is the famous Stepped-Stone Structure. The Stepped-Stone Structure is the largest Iron Age structure in Israel, as tall as a 12-story building, built on the side of the hill. It now seems to be part of the same building complex as the Large-Stone Structure. Most scholars believed that the Stepped-Stone Structure supported an artificial platform on top of which stood the Fortress of Zion (2 Samuel 5:7), which has not survived. Now it seems that the Stepped-Stone Structure also supported the Large-Stone Structure. A drain tile stamped with the name Eusebius. The tile was part of a Byzantine-era (fourth-seventh century C.E.) house (now called by archaeologists the House of Eusebius) discovered in the 1920s in the northern portion of the City of David. Eilat Mazar made her discoveries underneath the area where the house had been found. From Excavations on the Hill of the Ophel. The northeastern side of the Large-Stone Structure was built directly on a 20-foot-high manmade rock cliff uncovered by Kenyon. At the foot of the cliff, Kenyon discovered the debris of ashlar stones and the proto-Aeolic capital. They had fallen from the Large-Stone Structure. An overview of Eilat Mazar’s excavation area looking to the east, with the closely packed houses of the village of Silwan in the distance. Mazar has dubbed the large public building she is excavating the Large-Stone Structure. She suggests it may well have been built by King David as his palace. The name recalls the Stepped-Stone Structure, a massive retaining wall slightly south and east of the Large-Stone Structure, which is believed to have supported Jerusalem’s ancient fortress and which Mazar now suggests was part of the palace complex. Mazar believes David’s palace was purposefully built close to the northern wall of the fortress so that its residents could swiftly find refuge in the fortress in case of impending attack. Yitzhak Harari. The Large-Stone Structure, now seen as a massive structure built on a high scarp, was not just any public building, but a structure that was clearly the product of inspiration, imagination and considerable economic investment. This is clear not only from the large, impressive stones from which it was constructed but also from the 5-foot-long proto-Aeolic capital that must have once been part of the building. This exemplar is the most beautiful and elegant proto-Aeolic capital ever found in Israel, surpassing those from Samaria and Megiddo. Imagine the column that supported this capital. Then imagine the building in which such columns stood. Moreover, the area had not been previously settled. The site was apparently outside the walls of the Canaanite city. How do we know this? Beneath the Large-Stone Structure the bedrock had been previously leveled or, where cavities were too deep, filled with crushed limestone and made level. The leveled bedrock with the limestone fill created a broad flat open area that existed quite independently. No structural ruins of any kind were found that related to it. It is certainly one of the most interesting features of our excavation. It dates to the earliest construction stage of the site—before the Large-Stone Structure. It seems that before the Large-Stone Structure was built the site was an open, flat area, a testimony to the careful planning invested in its creation. Perhaps it was some sort of cult site used for worship. We are not yet sure of the date of this open area. It is clearly earlier than the Large-Stone Structure and probably goes back to the Late Bronze Age (about 1500 B.C.E.) or even the Middle Bronze Age (about 1800 B.C.E.). Lying on this open flat area was earth fill that helped us date the last use of this open site. The fill was mixed with large quantities of datable pottery sherds, mostly from cooking pots. (The fill also contained animal bones that have not yet been analyzed.) The big surprise was the date of this pottery. Some of it was from the Middle Bronze Age and a few sherds were from the Late Bronze Age, but the majority were from Iron Age I (12th-11th centuries B.C.E.). The pottery from Iron Age I is quite different from the pottery of Iron Age IIa (tenth-ninth centuries B.C.E.). For example, the ware from Iron Age I is brownish and without slip (a thin layer of clay added after pottery has been turned but before firing) and not burnished (rubbed smooth). In Iron Age IIa, on the other hand, the pottery is often reddish and covered with red slip and is hand burnished; in Iron Age IIb, the burnishing is wheel-made. Moreover, vessels from Iron Age IIa have entirely different profiles from the earlier period. We found Iron Age I pottery under the Large-Stone Structure in different areas and in impressive quantities.8 Significantly, it is almost all badly worn. This suggests that these sherds came from the very end of Iron Age I (about 1000 B.C.E. ), not earlier. This fill apparently already existed on the open area when the Large-Stone Structure was built. The Large-Stone Structure must have been built after this. How long after? That was the question. Evidence from the last month of the excavation helped us answer this question. In two rooms in the northern section of the Large-Stone Structure, we discovered a second phase of construction within the building. On the northeast edge of the building there may have even been a third phase, evidently intended to strengthen the structure by the addition of another internal wall. Pottery that relates to these later phases dates to Iron Age IIa. This means that the building had at least two, or perhaps even three, phases over a period of less than two centuries. So the first phase, when the structure was built, must have been close to the beginning of Iron Age IIa, probably around the middle of the tenth century B.C.E., when the Bible says King David ruled the United Kingdom of Israel. Read about Nadav Na’aman’s examination of the Biblical and archaeological evidence for King David’s Palace and the Millo in Bible History Daily. One small clay vessel is particularly important. It is a delicate black-on-red juglet imported from Cyprus. It is in excellent condition, almost whole. It would not have survived in this condition if it had been subjected to any major upheaval. It seems likely that it was moved when the internal wall was added during the third phase of the building. The lovely red color and style of the juglet clearly dates to the tenth-ninth centuries B.C.E (Iron Age IIa), providing a nice confirmation of our dating of the local pottery to the same date. The stepped-stone structure, the largest Iron Age structure in Israel, covers the northeastern slope of the City of David with a mantle of walls and terraces. So massive an edifice, it is generally agreed, must have supported an imposing structure above it. Many believed that structure was Jerusalem’s fortress; Eilat Mazar suggests that the area just to the north, which she believes was the site of David’s palace, would have been adjacent to the fortress. Zev Radovan. We found some pottery from Iron Age IIb (eighth-sixth century B.C.E.) in the northeastern corner of the Large-Stone Structure. This indicates that the building remained in use until the end of the First Temple period (which ended with the Babylonian destruction of Jerusalem in 586 B.C.E.). The object that was perhaps our most startling find dates to the last period of use of the Large-Stone Structure—from the period just before the Babylonian destruction. It was a seal impression (called a bulla) that once sealed a document, which has long since disintegrated. Like bullae generally, this one is like a flattened ball of clay about the size of a fingernail. The credit for its discovery goes to the hawk eyes of Yoav Farhi, the supervisor of our Area A. He spotted it at the exact moment when the sun’s rays illuminated the letters. Without this particular lighting, you can see nothing. Even when the bulla is lit from various directions, only letter fragments are visible. Lighting from a certain specific direction, however, suddenly illuminates all of the letters as if by magic. Read “The Interrupted Search for King David’s Palace,” detailing Eilat Mazar’s excavation of a stone tower associated with the Stepped-Stone Structure, in Bible History Daily. A solitary figure, standing in the area of the northeast corner of the Large-Stone Structure, conveys a sense of the scale of the building discovered by Mazar. She and her team had dug through remains from the Byzantine and Second Temple periods and found a large area of bedrock that had been leveled to create an area that pre-dates the construction of the Large-Stone Structure. Eilat Mazar. When I opened the encyclopedia and saw the same name in the Bible as was on the bulla, I let out a shriek of surprise that rang out through the still house. Fortunately, the children slept soundly. I felt as though I had just “resurrected” someone straight out of the Bible. There is something else unusual about this bulla. It read: “Belonging to Yehuchal ben (the son of) Shelemiyahu ben Shovi.” Thus we now know the name of Yehuchal’s grandfather, as well as his father. Why did Yehuchal mention his grandfather on his seal? This was hardly the standard practice. Perhaps his grandfather was a distinguished, well-known figure in his own right. In Yigal Shiloh’s excavation in the 1980s, adjacent to our site, he found 45 bullae in the destruction layer of one of the rooms. But none of the bullae Shiloh excavated mentions the grandfather, only the father. Yair Shoham, who published the bullae from Shiloh’s excavation,11 was not only an archaeologist and epigraphist, but also my husband and the father of our three sons. He passed away in 1997. One of the things he left us was an onomasticon of the names on the bullae he had published. I showed our children how I used Yair’s table of letters to study and date the bulla we found in our excavation. The form of the letters on the bullae from Shiloh’s excavation were the same as on our bulla. And Shiloh’s bullae were very solidly dated to the end of the First Temple Period, so we are confident in dating our bulla to the same time. It was a wonderful family experience. A delicate juglet, imported from Cyprus, survived in excellent condition at the Large-Stone Structure, indicating that the area did not suffer from a violent destruction. Bouky Boaz. The most famous of Shiloh’s bullae belonged to Gemaryahu ben Shafan, the King’s scribe and minister at the time of the prophet Jeremiah (Jeremiah 36). Yehuchal is now the second royal minister whose name has appeared on a bulla from the City of David excavations. In future seasons we hope to continue the exposure of the Large-Stone Structure. But what can we say at this point? Archaeologically, it appears that it was built either at the very end of Iron Age I or at the beginning of Iron Age IIa—either slightly before or slightly after 1000 B.C.E., about when the Bible tells us King David conquered Jerusalem from the Jebusites/Canaanites. Since no remnants of earlier construction were found beneath the building, it seems that this area was outside the Jebusite/Canaanite city. Could the Large-Stone Structure have been the Jebusite fortress that David conquered, the Fortress of Zion mentioned in the Bible (2 Samuel 5:6–10)? This is unlikely, for it would mean that the citadel did not exist in the Canaanite city during the Middle and Late Bronze Ages and most of Iron Age I, because it was constructed only during the very last days of the Jebusite regime. That is difficult to accept, particularly in light of the character of the construction, which points to an imaginative new initiative with highly sophisticated building techniques, as reflected in the large scale and enormous efforts invested in constructing it. Just the right angle of sunlight—and the hawk eyes of Yoav Farhi, an area supervisor on Mazar’s dig—led to the discovery of this .4-inch-wide bulla, a lump of clay that had sealed an ancient document. Inscribed in three lines, the bulla reads, “Belonging to Yehuchal son of Shelemiyahu son of Shovi.” The Book of Jeremiah twice mentions a Yehuchal (Jehucal in English Bibles) son of Shelemiah, indicating that this bulla dates to the late seventh-early sixth century B.C.E. Gabi Laron/Institute of Archaeology/Hebrew University. Since it is unlikely that this was the Jebusite citadel, what else could it be? Perhaps a new temple? But this flies in face of the long tradition, confirmed by the archaeological evidence, that Mount Moriah, where Abraham almost sacrificed his son Isaac (Genesis 22), became the site of the Temple (see 2 Chronicles 3:1)—namely the Temple Mount, several hundred feet north of our site. It is indeed unlikely that the Large-Stone Structure was the site of a temple. What is left? Could this be the brainchild of a visionary new ruler who planned to expand the city with a temple to be built on the hilltop to the north? Did King David, now the ally of the Phoenicians, renowned for their building capabilities, authorize them to build a magnificent new palace for him outside but adjacent to the northen boundary of the old Canaanite city, shortly before the construction of the projected new Temple to its north? The Biblical narrative, I submit, better explains the archaeology we have uncovered than any other hypothesis that has been put forward. Indeed, the archaeological remains square perfectly with the Biblical description that tells us David went down from there to the citadel. So you decide whether or not we have found King David’s palace. “Did I Find King David’s Palace?” by Eilat Mazar originally appeared in BAR, January/February 2006. The article was first republished in Bible History Daily on September 7, 2012. Eilat Mazar teaches at Hebrew University’s Institute of Archaeology. In addition to her work in the City of David, Mazar digs at the Phoenician site of Achziv. She has been publishing the final report of the excavations south of the Temple Mount that were led by her grandfather, Benjamin Mazar. a. A casemate wall consists of parallel walls subdivided by perpendicular walls. 1. Eilat Mazar, “Excavate King David’s Palace,” BAR, January/February 1997. See also Mazar, “The Undiscovered Palace of King David in Jerusalem—A Study in Biblical Archaeology,” in Avi Faust, ed., New Studies on Jerusalem (Ramat Gan, Israel: Bar-Ilan Univ., 1996), pp. 9-20 (Hebrew). 2. Kathleen M. Kenyon, Digging Up Jerusalem (New York: Praeger, 1974), p. 114. 3. Kenyon, “Excavations in Jerusalem 1962,” Palestine Exploration Quarterly 95 (1963), p. 18. 4. Kenyon, Digging Up Jerusalem, p. 103. 5. Yigal Shiloh, “The Proto-Aeolic Capitals and Israelite Ashlar Masonry,” Qedem 11. 6. Eilat Mazar, “The Temple Mount Excavations in Jerusalem 1968–1978 directed by Benjamin Mazar, Final Report, volume II: The Byzantine and Early Islamic Periods,” Qedem 43. (Volume III, also on the Byzantine period, is about to be published.) We will be able to date the house from the coins we discovered under the mosaic floor and under the drain pipe that funneled water into the cistern serving the building. The building came to an end at the beginning of the Islamic period. We will also be able to date this more precisely after we complete a more in-depth study of the finds. However, we can already say that the pottery found on the mosaic floor was of the finer and metallic Byzantine-ware type, whose appearance is characteristic of the beginning of the Islamic period. 7. We will be able to deduce the exact construction date of the installations from further in-depth research regarding the numerous coins we found in the walls. 8. Similar pottery has been found at other Iron I sites, such as Giloh and Shiloh. See Amihai Mazar, “Giloh: An Early Iron Israelite Settlement Site Near Jerusalem,” Israel Exploration Journal 31 (1981), pp. 1-36 and Israel Finkelstein, ed., “Shiloh: The Archaeology of a Biblical Site,” Tel Aviv 10, 1993. 9. The second name on the seal is Shelemiyahu, a variant of Shelemya or, in the English spelling, Shelemiah. In Hebrew, Shelemiyahu simply adds a vov to the end of the Shelemyah. 10. Here the Hebrew text omits an internal heh from the name and the English rendering is Jucal. 11. Yair Shoham, “A Group of Hebrew Bullae from Yigal Shiloh’s Excavations in the City of David,” in Hillel Geva, ed., Ancient Jerusalem Revealed (Jerusalem: Israel Exploration Society and Washington, DC: Biblical Archaeology Society, 1994), pp. 55-61. I need the archaeology about musical skills of King David. My husband and I would love to come there and help with this great find. I love rocks and the earth. Can you send me information on helping…. I’m not rich…but I have always wanted to do this and learn about our great family…. You have surely stumbled across the foundations of the Temple of Solomon! The whole “Temple Mount” was the site of the Antonia fortress. All the three temples stood on the now levelled ridge vis-a vis the southern tip of the Mount of Olives and Silwan. And this is where the “third” Temple will be built; the one described by Ezekiel. If you are not familiar with E. L. Martin’s book The Temples that Jerusalem forgot, you will be surprised to learn how well his theory fits your amazing discovery. I am wondering if the level surface found under the large stone structure could have been a threshing floor? We know that David built an altar over Ornan’s threshing floor. I find the latter remains of a Jewish building with a Mikveh at the site interesting as well. The tile that had Eusebius name on it was most likely a roofing tile, it could be why his name was attach to it. I do not think he had and drain tile making business. Someone added his name on the artifact because it killed Eusebius. a few places,in the Land of Israel. his Psalms,in an ancient scripture,on perchment. of King David and King Solomon. 1st century synagogue on southwest corner of temple mount has the torah niche on the southern wall???? David may have serious problems but ruled with graze. Solomon had to many wives and bankrupted the state and died far from graze, a heathen. I am writing a historical novel about Mephibosheth, and since he lived in David’s palace most of his life, have read with great interest about the strong possibility this was, indeed, his palace. Even the pictures have helped me work through how I want to present life there. Thank you. Have to add some stuff: For heaven’s sake, read the Books of the Old Testament for instruction regarding who David was, who his son was, and who his descendants were. Separate “testimony” comes from the pages of Egyptian history that link certain cities with David; emissaries who were sent to acknowledge him, etc. Why don’t you either become more educated? or leave this site? those of you who decide to just say “David did not exist” – like your father didn’t either??? The King of Tyre – a very real person, has left records of the items used in his building of things – also his records are not “flight of fancy”. The true “boundary” of the entire complex in the North can well be summarized as that none of you have read your Bible, don’t know what the boundaries were, how they were taken down, put back up, down – up – down – up and at the point that King David decided to build a house to the North of the fortress “named” Zion – not named by him, but by the Syrians that had built it 1,000 years before? now I threw you a bone! – go seek to prove the non-existence of the fortress that King David said was there when he arrived! That will spin your wheels for some years! Making perimeters, boundaries, lines around stuff – this is truly sacred, ancient stuff you are talking about – the ancient city of Rome was “founded” with divinations going on day and night for years! Your “concept” of a boundary is probably far off from what King David envisioned in the North area – even as you think you understand he had no problem building outside of it? I don’t think he would have, so rethink your idea of a boundary. I’m trying to “add” truth upon truth, not falsehood upon falsehood so intent, as in a Court, trying counts for a lot. Eusebius was the “secretary” to Constantine, first Christian Emperor of the Roman Empire – 325AD? or thereabouts? His faithful rendition of the events surrounding the construction of Constantinople give us the links to both Constantine’s conversion to Christianity the night before he won his huge victory against his co-consul at the Mulvian Bridge – in effect – making him sole ruler of the collapsing Roman Empire. He moved the Senate, and all important people and institutions from Rome to Constantinople so that by 410AD when “Aleric” arrived in Rome to destroy it, the Roman Empire and government, weak on its’ knees, still survived – for another 1,000 years. Constantine’s mother, Helen, came to the Holy Lands as a Pilgrim, gathered many artifacts including pieces of the original cross, located and built churches on sites known only to locals; however, I did not know that the most trusted “Secretary” – Eusebius went with her. What a testimony to the faithfulness of all of this beautiful story. The Book of Chronicles and the man who returned to Jerusalem to “rebuild the walls – Nehemiah – in 55 days! restoring the walls of Hezekiah and not building new ones – his story may help you. Like your father, I go over and over and over again the same sentences within a chapter, and may spend weeks researching what it says. It says Nehemiah did not build anything new, he only restored the old; his restoration under Cyrus will help you find your answer. I began my current “quest” when I began looking to the “gates”; their order in appearance around the great City of Jerusalem, how sacrificial lambs could be “washed” when only certain waterways led into the City? And a short distance from Jerusalem another house of David’s also has come to light – one with two gates (two (2) gates). Perhaps this “pattern” applies here also. God bless you for your faithfulness; your father’s as well. I will never be able to accomplish your great historical contributions; but God called me to other places, other things. I knew I was on the right trial tonight, however, when I read the story of your father and his admonition to review the written record of the Bible – again – and yet again. This area has been built over many times, and all we know of is what has survived 3000 years of conflict and habitation. We have no way of knowing what will be dug up in the next century or longer. To say that someone “never existed” is more wishful thinking than intelligent discussion. Yes this is King David’s palace. The Bible says the ruins will be built up. Next year is the year of Jubilee. May God bless the continuation of this project. 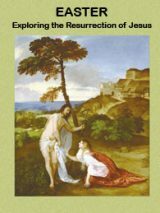 Wasn’t Jesus descended from the house of David? If as Julian suggests King David did not exist the world is going to end up in a terrible mess. My vote is for the house of David. How would you reconcile being outside of the “walled city” in light of Leviticus 25:29-31, “Anyone who sells a house in a walled city retains the right of redemption a full year after its sale. During that time the seller may redeem it. If it is not redeemed before a full year has passed, the house in the walled city shall belong permanently to the buyer and the buyer’s descendants. It is not to be returned in the Jubilee. But houses in villages without walls around them are to be considered as belonging to the open country. They can be redeemed, and they are to be returned in the Jubilee.” If you are right, this seems to indicate that the seller of the land to David could redeem it in the year of Jubilee. I appreciate the work and sacrifice that has gone into these archeological projects. It has given me concrete evidence of my studies of the bible and joy to know our God is who He is. I admire your enthusiasm but it is highly likely David’s palace was in West Arabia. Substantial Jewish settlement in the area of modern Israel appears to date only from about 450 BC. Linguistic (Rabin 1951), inscriptional evdience (inscriptions Adi Kaweh, Ethiopia) and the Torah of the Queen fo Sheba indicate the Hebrew and Israelites originated in Arabia and only relocated to Palestine after 586 BC.This is politically inconvenient but probably true. I am christian and believe the bible is God’s word, but I’m curious if this is actually David’s palace. I do not really hold a position and Archaeology is not my strong suit or my studied subject. Regardless of that I’m curious if Dr. Mazar has kept up to date with the criticisms. Julian and L. are absolutely right. There is no evidence of David and the Temple. All is like the Exodus and life of Abraham just a colorful myth. – They may look as long as they wish and will never find anything. It is just spending time and money. I WOULD SUGGEST THE BOOK “THE TEMPLES THAT JERUSALEM FORGOT” BY EARNEST MARTIN. I THINK HE WAS A FRIEND OF THE AUTHOR’S FATHER. HE MAKES A VERY IMPRESSIVE ARGUMENT THAT WHAT YOU HAVE FOUND COULD BE SOLOMON’S PALACE. JULIAN AND L, IF BOTH OF YOU DON’T BELIEVE THAT DAVID WAS A REAL HISTORICAL PERSON, WHY ARE YOU WASTING YOUR TIME READING BAR? MAY GOD SOFTEN HEARTS. OBVIOUSLY YOU ARE BOTH SEARCHING FOR HIM. I PRAY YOU FIND HIS GRACE AND THE SCALES FALL OFF YOUR EYES. see the Palace of David. If someone could give me an email address of her that is not always full would be great. After comparing an artist rendering of Solomon’s Temple and the Arial view, I believe that this is Solomon’s Temple not David’s palace. Here is a link. Was Solomon’s Palace built near King David’s Palace? Was King Solomon’s Palace in Jerusalem? I agree with Julian. This piece certainly presents no evidence that King David existed. Even the Tel-Dan stela isn’t 100% conclusive. The who take the Bible literally who responded to Julian or Mazar or use the Bible as a straightforward history book are in no position to comment on the historicity of David. It’s impossible, however, to reason with these folks, because they know not what reason even is. Great article I felt like shrieking too when you described the how you interrupted then found Yehuchal named in the bible. David is an EB/MB age composite person. The Biblical writings include cosmic myths in his life such as Goliath, Bathsheba, and the Ark of Coven. You won’t find any historical David or Solomon in the Iron Age. Iron Age references in their stories are due to both improper translations and the fact the texts were written as living documents. Have you heard of Solomon? He is the seed of David… and where the Temple of God was built, was from him. You need to research outside of your “box” and see the truth. Name calling does not justify nor does it benefit or represent Christianity. If you really want to know the truth… it is out there, you just need to look. God didn’t hide it, nor did he twist it to fit a “religious” belief. He is God almighty, and his will and power is beyond imagination. Meir man can not contain or belittle his History or Being. Do your own research, and ask God to show you the truth. He chooses his people, not the other way around… he is God of all creation, not just one blood line… I Pray you come to understanding. After God the Father and the Son Jesus the Christ, comes David as the most important Biblical Hystory figure. He is the representative of Faith and Love for God. He was a poet, who compose and sang the Psalms to our Father. He prophesied the coming of Lord Jesus and His martyrdom to save humankind. The muslims try to deny his existence -is like trying to hide the existence of the sun- with a finger. Hate to Judaism and Christianity, makes them mad. I have seen zero evidence that “King David” ever existed.This is a snipe hunt that distorts the truth of the finds for the true crime of selfishness. David is my favorite Biblical figure in all of the bible and it is thrilling to hear that his palace has been or may have been found.